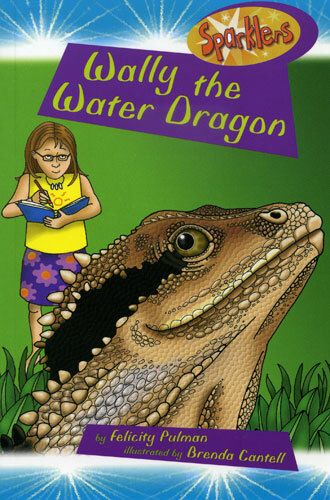 Wally the Water Dragon is based on a family of water dragons that live in our fishpond, ruled by the biggest dragon of all: Wally the head banger! 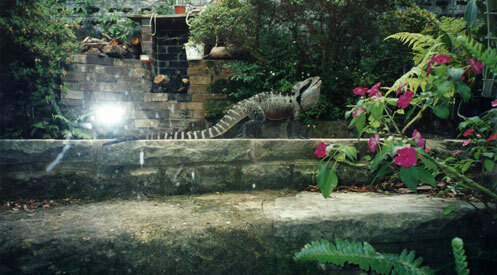 We have a family of water dragons that live in our fishpond. 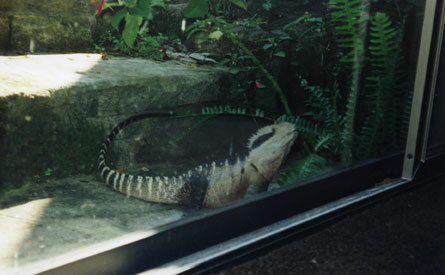 For many years, Wally has been headbanging outside the glass sliding doors that lead into our diningroom. 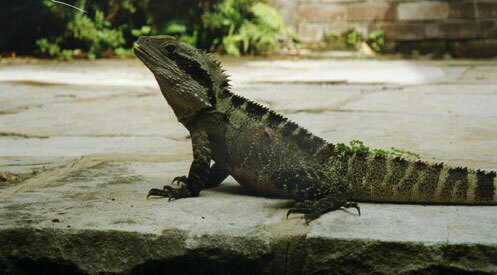 Dragons are very territorial, and will fight off any intruders. All Wally wants to do is fight the huge dragon that’s reflected in the glass, and he spends his time desperately trying to get at him!